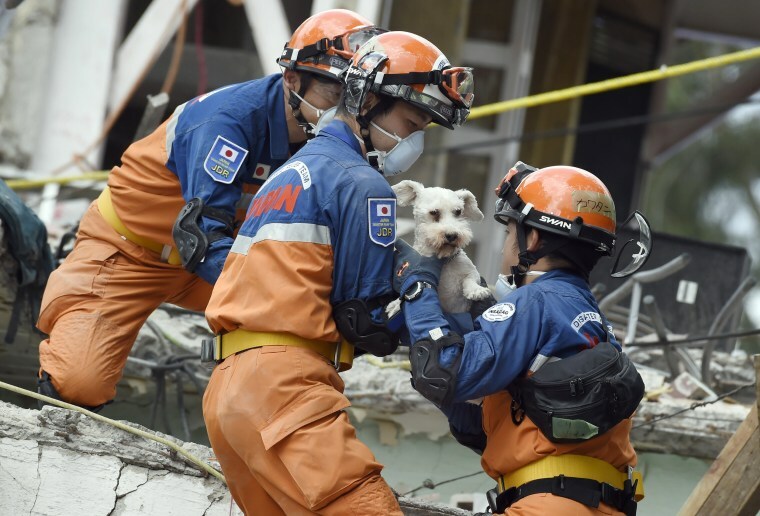 A schnauzer who survived the earthquake was pulled out of the rubble of a collapsed building by rescuers in Mexico City on Sunday. Search teams were still digging in dangerous piles of rubble Monday, hoping against the odds to find survivors at collapsed buildings, where the death toll from the Sept. 19 earthquake rose to over 300. The dog's rescue gave hope to residents and neighbors of the building who successfully got an injunction from a judge Saturday night requiring the rescue operation continue for at least five more days.